Some Peek in the Stacks blog posts are authored by CSUN students who work in Special Collections and Archives in the Oviatt Library. 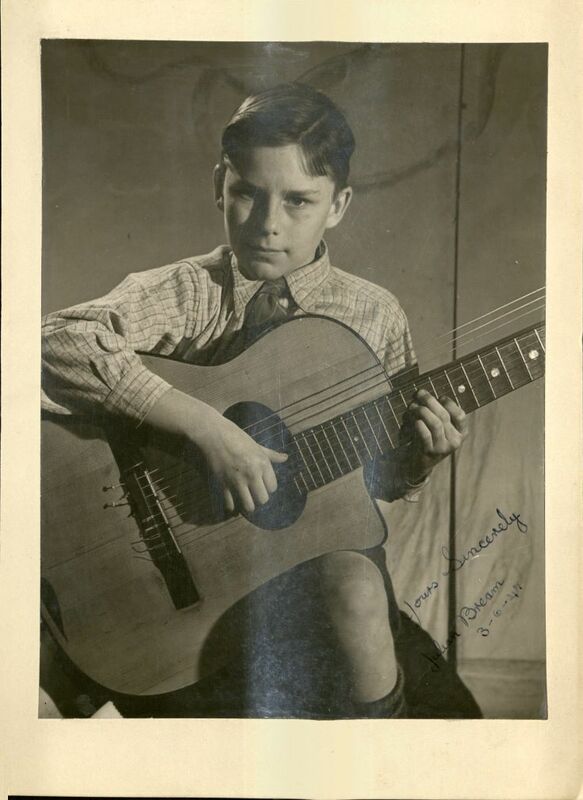 This week's post was written by Andrew Gomez-Ramirez, student assistant and this year's recipient of the Ronald C. and Elizabeth-Ann Purcell International Guitar Research Archives Fellowship. Andrew is a senior majoring in Guitar Performance. Johann Sebastian Bach wrote hundreds of works in his lifetime that were forgotten for more than a century after his death. It wasn't until Felix Mendelssohn, well-known composer and pianist of the 19th century, stumbled upon Bach's music by chance and brought it back to the public to enjoy once again, that interest in Bach’s music was reignited. Bach’s music was cherished once again, and many composers and musicians began arranging some his works for different instruments such as the piano, violin, cello, voice, and the lute. Eventually, Andres Segovia, the grandfather of classical guitar, would aspire to arrange the works of Bach for classical guitar. 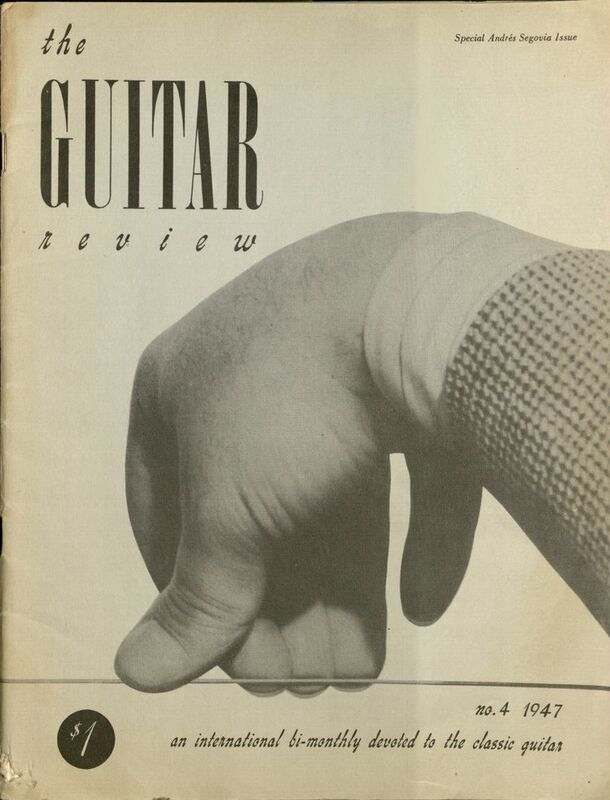 In The Guitar Review, number 4 from 1947, Segovia wrote an article titled "The Guitar and Myself" where he discusses putting the guitar on the concert stage, for it only stood out in taverns as the common people’s instrument. While Flamenco music was highly appreciated, it wasn’t considered sophisticated or appropriate for the concert stage at that time. Through Segovia's own research and dedication, he found the works of Julián Arcas, Fernando Sor, and Francisco Tarrega, prolific classical guitar composers of the 19th century, that reflected the true capabilities of classical guitar, yet he still could only envy the repertoire other instruments held over the guitar. Piano for instance, has a comprehensive selection of works to choose from, which contain monumental works by composers such as Beethoven, Mozart, Mendelssohn, and J.S. Bach. 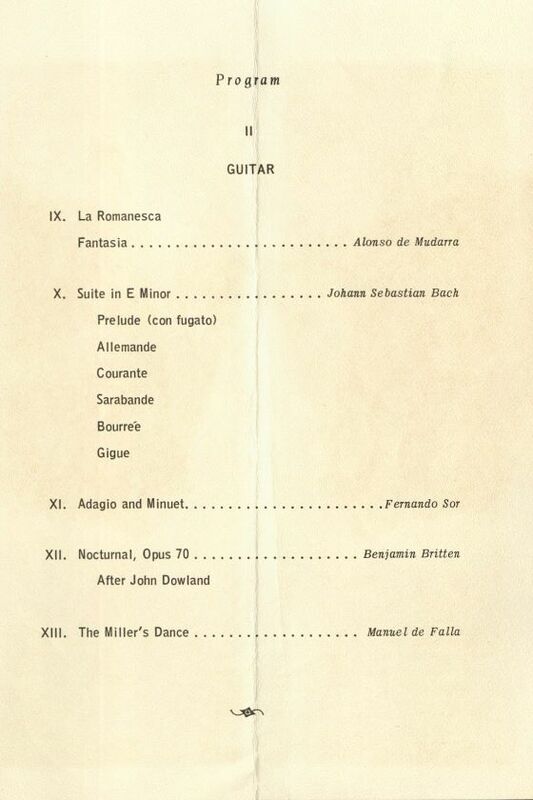 Segovia took it upon himself to create more repertoire for the guitar, and prove its worth on the concert stage. He was inspired by the first transcriptions of piano works arranged for the guitar by Tarrega and even more so by Miguel Llobet’s, another classical guitar composer, whose Catalan folk songs recreated the works of Bach. His introduction of Dr. Hans Dagobert Bruger’s transcription of Bach’s lute suites, who was the first to transcribe all of the lute suites before the BWV numbering was established, were what paved Segovia’s choice of repertoire to look for and so he took it upon himself to arrange the massive solo work of Bach’s Violin Partita No.2 in D minor BWV 1004, the Chaconne. Others, such as the secretary of the Société Française de Musicologie (French Society of Musicology) Marc Pincherle, felt differently. 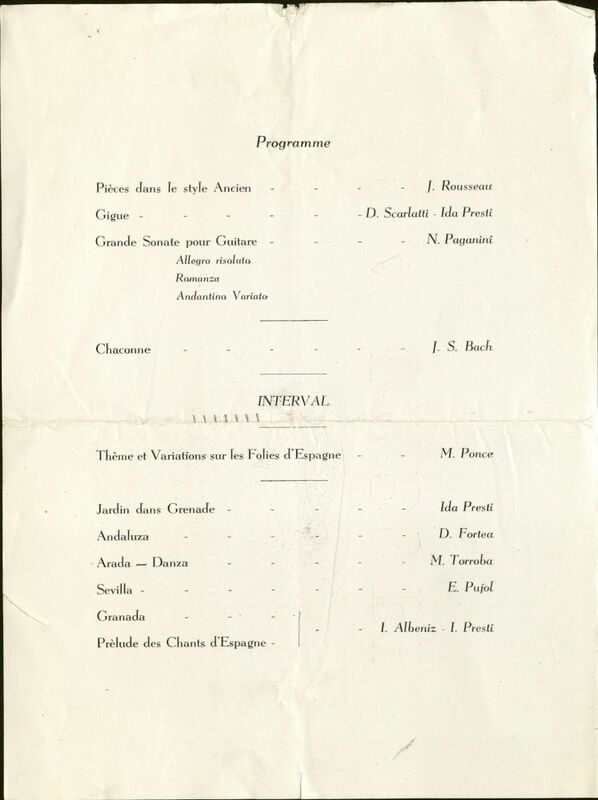 In a letter to Segovia says after his Paris debut of the piece Pincherle stated that he felt it suited the guitar, that the key of D minor worked perfectly, and required no rearrangement because the original score of the violin read well onto the instrument. 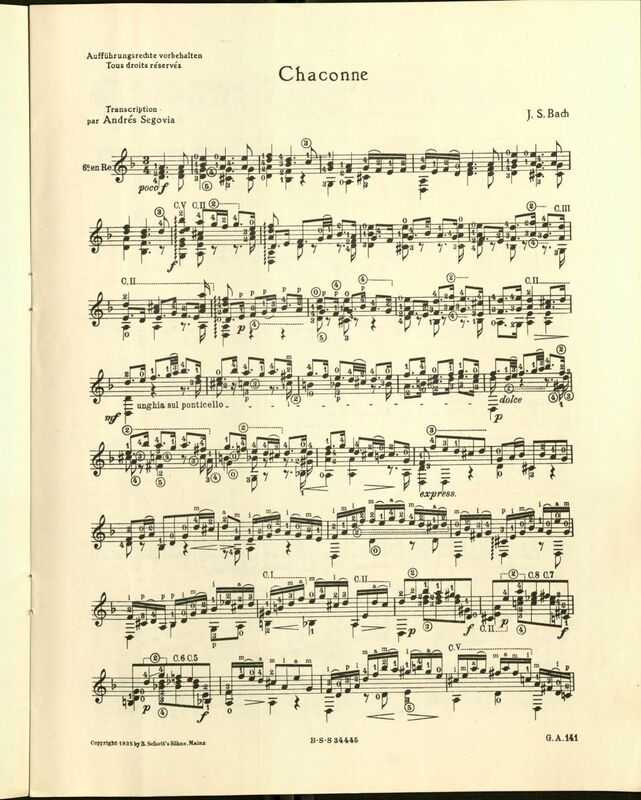 He also counter argued how other composers such as Friedrich Hermann, Johannes Brahms, and Ferruccio Busoni each respectfully wrote and adapted the chaconne for different instruments such as 2 violins, a left hand etude for piano, and a full orchestral arrangement. His letter was later published in in 1947's The Guitar Review number 4, titled "Concerning the Chaconne of Johann Sebastian Bach" for the public to read. As a result of Segovia’s efforts it is now common to find Bach’s music arranged for classical guitar. Many prolific educators and performers of Bach’s music have transcribed and arranged their own editions of his many works, arranging different movements and works of the violin sonatas and partitas, the cello suites, and keyboard sonatas. 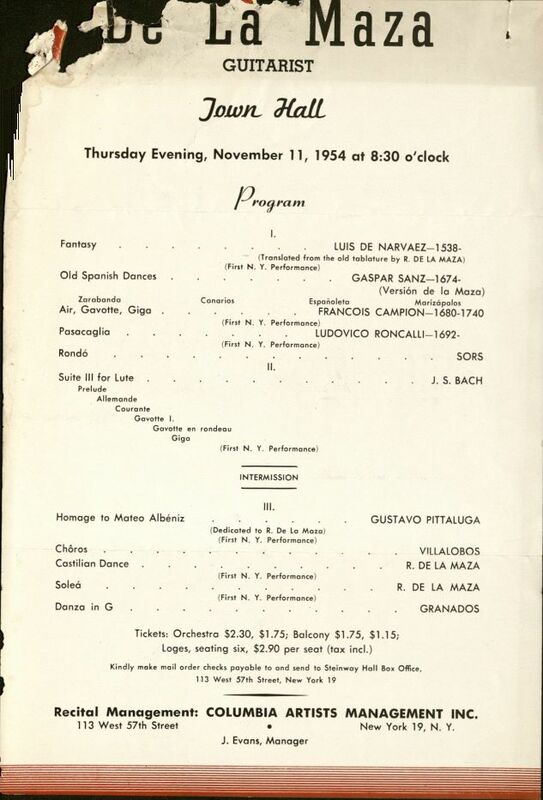 Programs dated after 1940 in the Vahdah Olcott-Bickford Collection show an increase of Bach’s larger repertoire being played more frequently than it used to. This collection also includes different arrangements of Bach’s music such as Segovia’s arrangement of the Chaconne.